In 1934, Daisetz Teitaro Suzuki published An Introduction to Zen Buddhism. It was originally written in Japanese, and it was first published in Kyoto, by the Eastern Buddhist Society, but it was soon published in other nations and languages, with an added preface by Carl Jung. According to Cole, in Patriarchs on Paper, Suzuki's book disseminated an idealised version of Chan / Zen based on a Western vision of universal religious transcendence. Cole argues that we can use this modern misinterpretation of Chan ideology as a model; it can enable us to understand how reconstruction of "facts" took place in the past. As Cole outlines how Suzuki created his false religion, and why he did so, we gain some insight into the parallel falsification that happened during the Tang dynasty. For example, Cole points out that Suzuki: "only had brief training at a Zen monastery as a college kid in the 1890s." This information does two things. Firstly, mention of the brevity of Suzuki's stay and his implied youthful naivety discredits Suzuki's authority as an author of Buddhist commentary. Secondly, and perhaps more importantly, it draws parallels been Suzuki's travels and those of Japanese monks living in the thirteenth century - Cole gives two examples, Eisai and Dogen. These monks, Cole argues: "felt obliged to prove their Chinese credentials…Consequently, they embarked on dangerous trips to China". We see that both these monks and Suzuki himself exploited travel as a tool for validation of their religious knowledge. Although there may be certain states where religious identity is deeply intertwined with national identity, experience of visiting a country does not necessitate understanding of state religion. Unfortunately, Suzuki was very successful in his use of travel-validation and other manipulative techniques. This led to the great popularity of his book, which encouraged widespread misunderstanding of the fundamentals of Chan Buddhism. 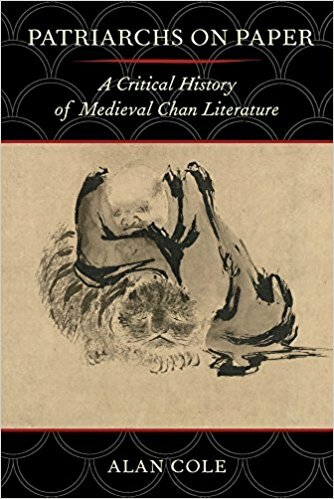 Thus, the reworking of Chan by its proponents continues, and as Cole writes: "Those authors most interested in promoting the story appear to have been those most willing to change it." Details: Patriarchs on Paper: A Critical History of Medieval Chan Literature is published by University of California Press in hardback, paperback and eBook, priced in local currencies. An Introduction to Zen Buddhism by D. T. Suzuki is available in various editions, in various formats.